DisneyExaminer’s D23 Expo Coverage Page: Now Live! 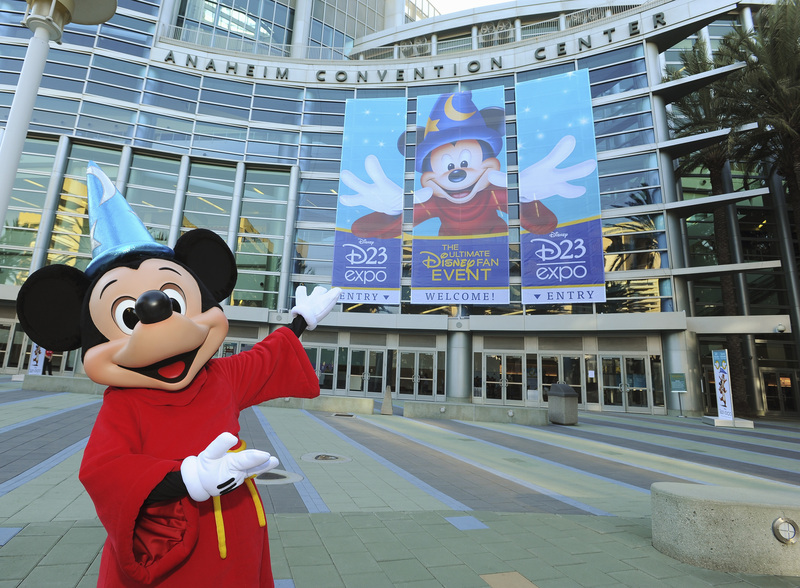 We’re only 3 days away from the “Ultimate Disney Fan Event” and we’re very excited to be able to bring you fellow Disney fans extensive coverage of the 2013 D23 Expo LIVE from the show floor at the Anaheim Convention Center! In case that live coverage doesn’t excite you, perhaps a small description of the event will. Simply put, the D23 Expo is basically a 3 day event that brings the whole Disney universe together (from ABC Television all the way to Disney Parks and Resorts) under one roof where each of the family of businesses gets to tease their newest offerings or just provide a really cool Disney fan experience. For instance, where else can you find the two best songwriters on Earth performing live together on the same stage? Richard Sherman (‘its a small world’ theme, “Mary Poppins” score, etc.) and Alan Menken (“Tangled”, “The Little Mermaid”, etc.) will do this for the first time at the D23 Expo! Or perhaps you want to get a sneak peek at the newest Marvel/Pixar/Lucasfilm movie? The two biggest presentations which will give attendees first-looks at these upcoming films! That’s just some of the Disney magic that’ll be happening this weekend and we’ll be bringing it all to you LIVE and FREE of charge on our official coverage page found right HERE. Throughout the Expo, we’ll be posting highlights to that page. If you want your D23 Expo news as soon as it happens though, be sure to follow us on our social media networks including Facebook, Twitter, Instagram, Tumblr, Flickr, Google+, and YouTube as we’ll be sharing lots of pictures and news immediately through these means.